(तुळशीची लग्न/देव दिवाळी) Dev-Diwali. 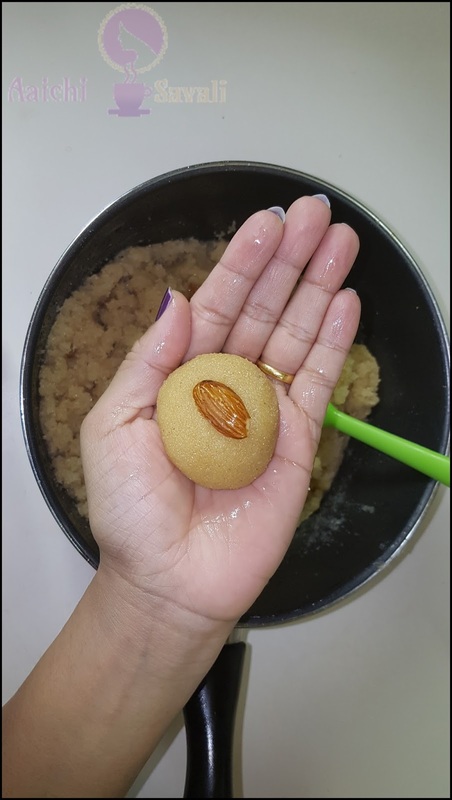 The rich flavor of roasted rava and fresh coconut and the intense aroma of cardamom powder made this Rava-Coconut Ladoo very special and that nobody can resist. 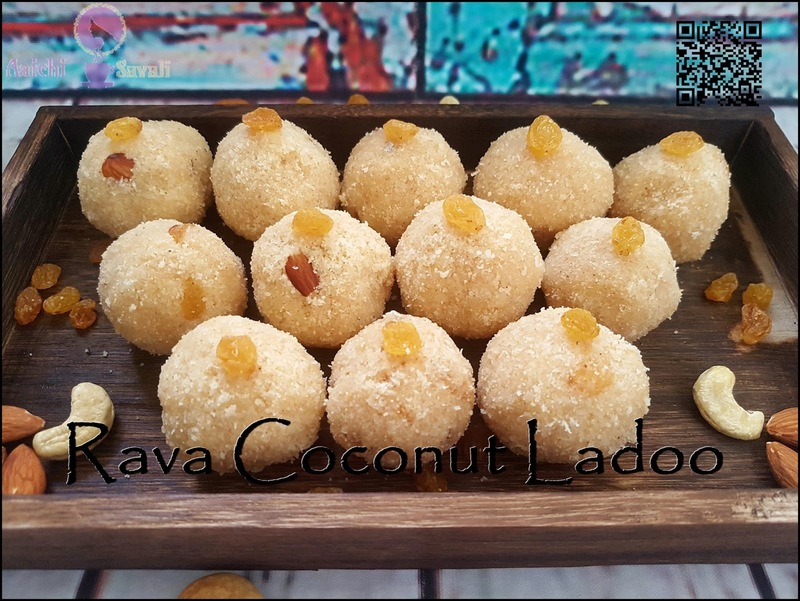 Any celebration is incomplete without sweet so here's this mouth-watering, aromatic and delightful Rava-Coconut Laddu recipe. The method to prepare this soft and melt in mouth Ladoo is straightforward and foolproof if you follow the instructions correctly and roast the rava on low to medium flame till get the desired color and it becomes aromatic (खमंग) so you will find it completely worth the effort. Each Rava-Coconut Ladoo Contains 130 cal. Turn on flame and place a kadhai, add ghee, fine rava and roast it until you can smell it from outside your kitchen. That's when the rava is nicely roasted. 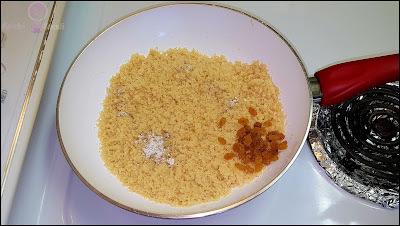 Once it's done, add freshly grated coconut and roast for some more time and add cardamom powder, raisins mix all well, then switch off the gas. Meanwhile, in a saucepan add sugar and water and bring the mixture to a boil. Boil it for 3-4 minutes to make one string syrup and switch it off. 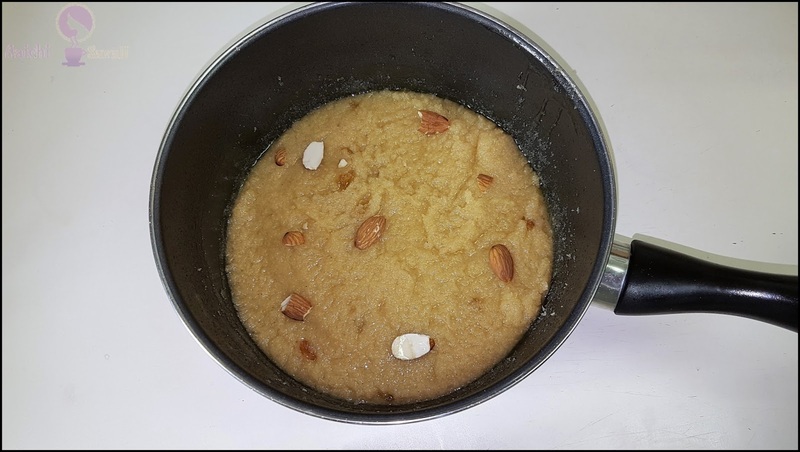 (This is called 'ektari paak' / sugar syrup). 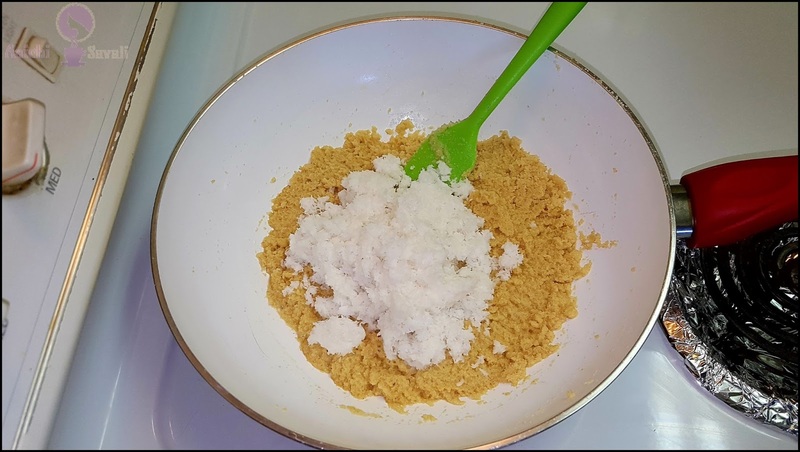 Add this sugar syrup, to the rava-coconut mixture and mix well. for couple hours. Then you can form laddoos. 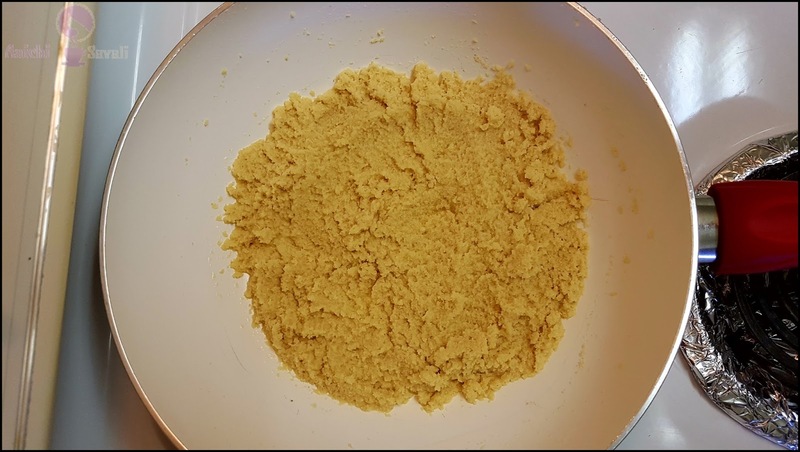 Divide it into equal portions and each of them give a shape of Ladoo by rolling in between your palms. 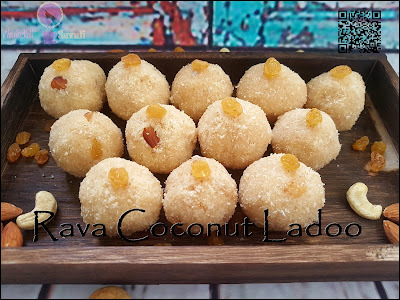 Here, delightful rava Naral Ladoo are ready to serve. Enjoy!!! other dry fruits too, as per your taste. The ladoos stays good for up to a week. Store in airtight container. 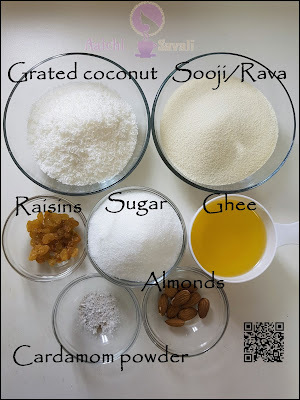 In place of fresh coconut you could also use desiccated coconut, just wet them before adding to the roasted rava. 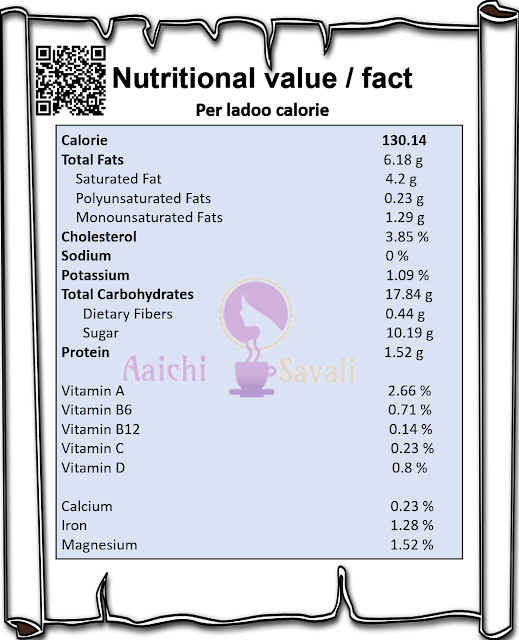 Per serving contains 130.14 calories, along with carbohydrates - 17.84 g, fats - 6.18 g, proteins - 1.52 g.
It's good to eat Rava-Coconut Ladoo as a dessert or for snacks. Thank you. It's my favorite too!